After escaping the hurricane damage in New Jersey my wife and I retreated to our in-laws' house in California. 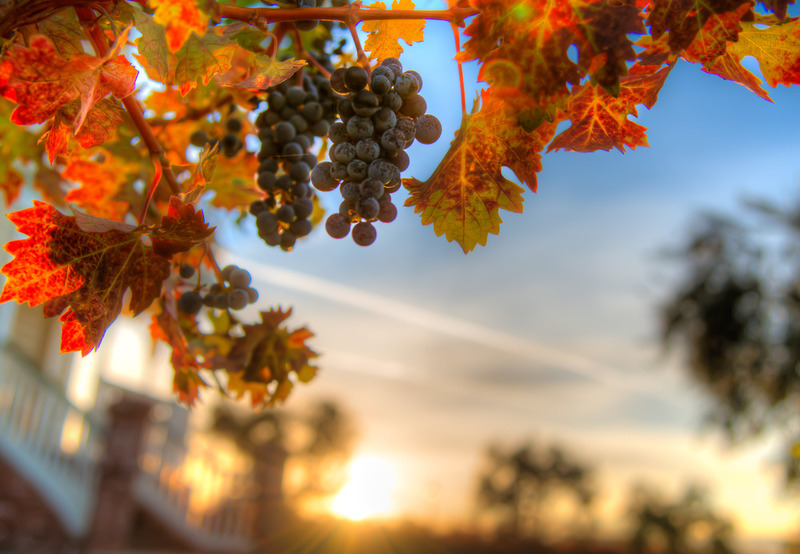 I woke up early because of jet lag to shoot some photos at sunrise at a local winery. I didn't get many great shots but I was happy with this one. The problem I had was with the landscape. Sure the sunrise was great but the landscape was flat and boring. There were trucks, houses, and power lines in the way. So I decided the best option was to get really low to the ground and shoot directly into the sunlight. Here I shot seven exposures about 6 inches off the ground. The house in the background is used for theater but not much else. It sits on the winery grounds and is owned, I later learned, by John Madden. You can see the front steps in the shot.